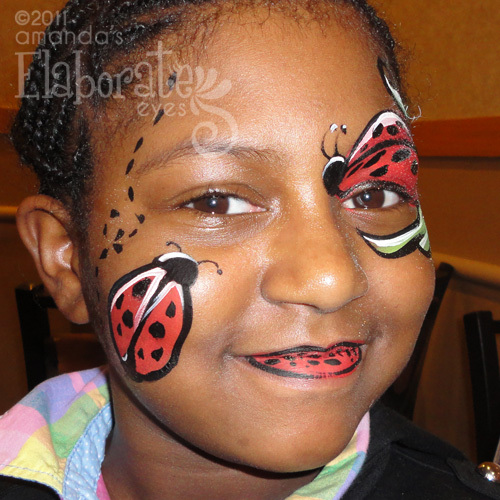 Did you know that besides just being a professional face painter, I am also the Vice President of the North East Ohio Face Painters Guild, which is a professional organization of face painters in this region. We meet every month on the first Wednesday of the month at the Home Town Buffet in Parma, near the corner of Snow rd. and Broadview rd. This is a way for me to network with other painters, share tips and tricks, and also take some time to practice new designs. And as a bonus to you… we paint the patrons of the restaurant for FREE from 5:30 – 7:30 each time we’re there. Mark your calendars for next month and come in for dinner and get the kiddos painted!